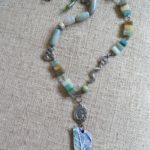 Whisper to the Wind Necklace was inspired by the Blondine Threw Her Arms Around Him print by Virginia Frances Sterret. 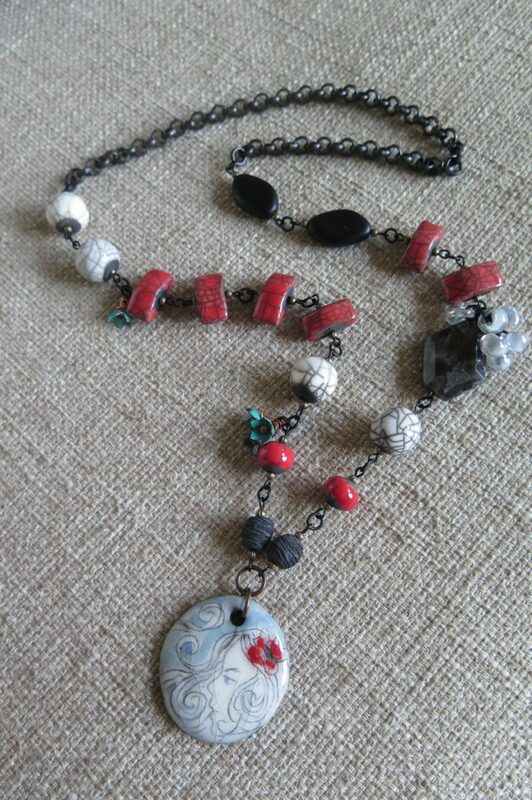 Whisper to the Wind Necklace was designed by Michelle McEnroe of McEnroeMoments using raku ceramic beads created by atelierelemenlerre. 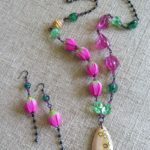 C-Koop enamel flower headpins and lampwork teardrop beads by Unicorne Beads are used as decorative dangle clusters around the design. 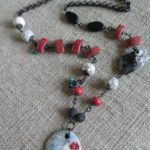 The raku ceramic pendant was designed and created by Lace and Clay. 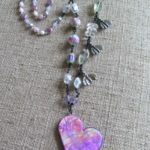 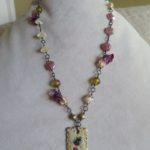 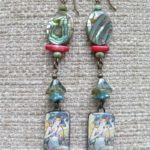 Michelle's jewelry can be found on Etsy at http://etsy.com/shop/McEnroeMoments and in Beadwork Magazine. 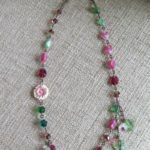 What a lovely necklace Michelle!! 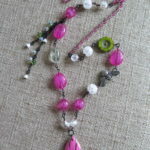 The pendant is so evocative and perfect!! 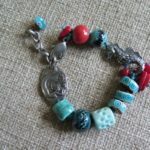 I especially love the chunky red beads!